The San Jamar S30TBK soap dispenser can dispense most liquid and foam soaps, excluding pumice soap. The dispenser is built with impact-resistant, transparent black plastic for a long life in challenging high-traffic environments. A large 30-ounce capacity means staff will need to spend less time refilling the dispenser and have more time focusing on other tasks. 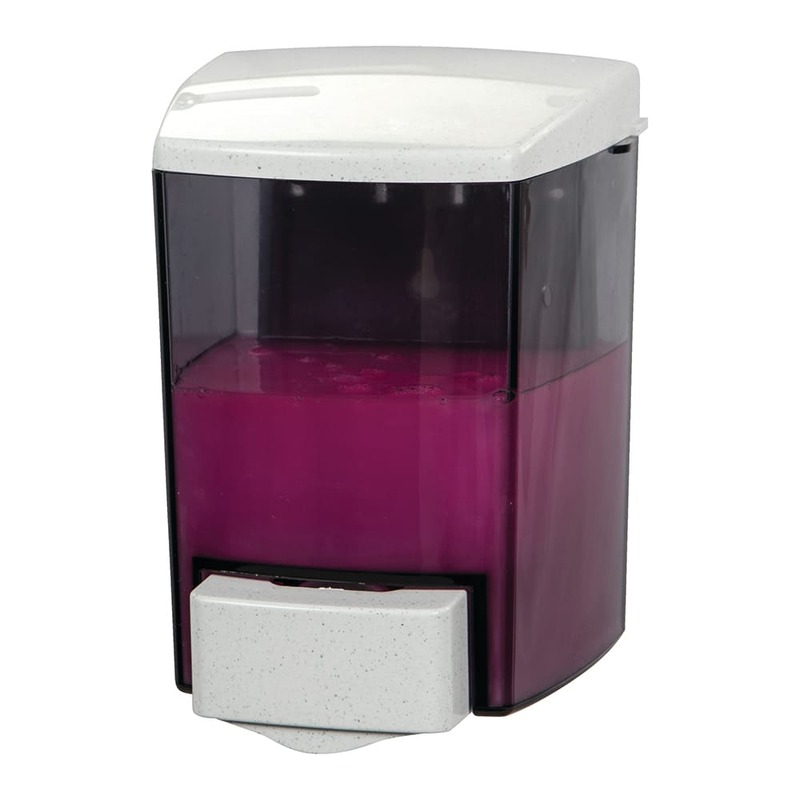 The San Jamar S30TBK dispenser dispenses soap in 0.8-milliliter portions.